QuatroTime effortlessly manages your entire workforce scheduling and time issues, integrating fully with your payroll and HRIS systems. QuatroSafety pushes the frontier in safety and claims management allowing you to maximize your results with minimum staff effort. 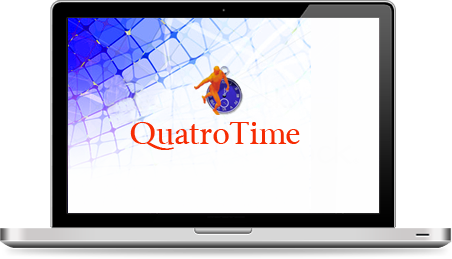 QuatroTime is the automated solution for comprehensive workforce management. We incorporate the functions of resource scheduling, forecasting, absence management, and on- line/real - time attendance reporting into one system. QuatroSafety takes your health and safety programs to a new level. From reporting your incidents electronically to creating Corrective Action Plans, it is state-of-the art safety management coupled with a dynamic interactive claims management system that provided electronic filing of WSIB/ WCB claims, upload of cost data, document management and sophisticated communications applications. 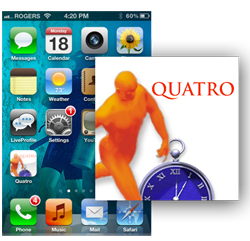 Quatro launches new iPhone App! We are excited to launch the Quatro App for the iPhone, Quatro Group's mobile incident reporting tool. In the Health & Safety environment speed is critical in responding to workplace incidents. Greater responsibility is being placed on Supervisors, Managers and employees in general to ensure that incidents are reported in a timely and accurate manner. Quatro Group Software Systems Inc.